Royal Canin Feline Health Nutrition Home Life Indoor Appetite Control Cat Food helps indoor cats to regulate their appetite in a natural way thanks to a balanced content of proteins and fibres. Contributes to maintaining ideal weight, with an additional highly digestible protein which helps reduce the quantity and odour of stools and helps to stimulate the elimination of ingested hair thanks to specific fibres including pysllium. For adult cats with a tendency to overeat from 1-7 years. Vitamin A: 14000 IU, Vitamin D3: 700 IU, E1 (Iron): 33 mg, E2 (Iodine): 3,3 mg, E4 (Copper): 10 mg, E5 (Manganese): 43 mg, E6 (Zinc): 129 mg, E8 (Selenium): 0,07 mg.
Below are some recent questions we've received regarding Royal Canin Feline Health Nutrition Home Life Indoor Appetite Control Cat Food, including answers from our team. 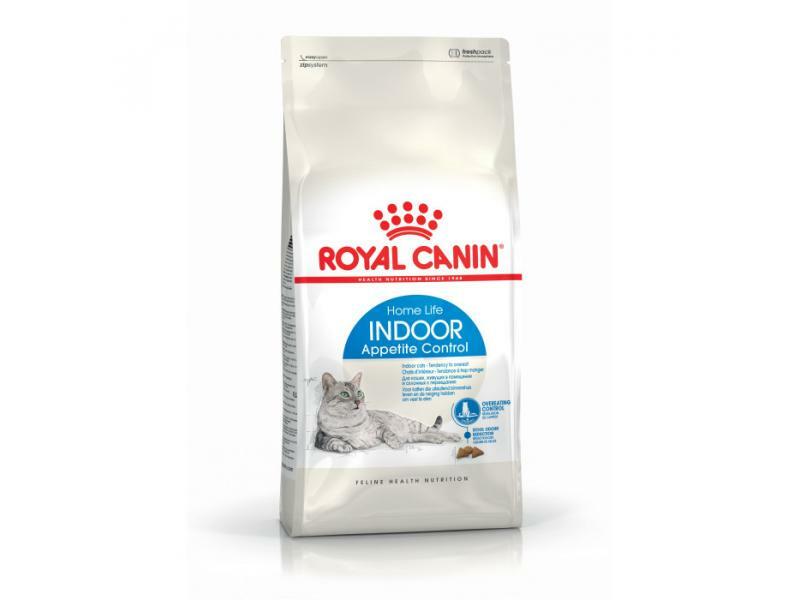 Why don't royal canin do 10 kg bags of indoor cat appetite control ?? It's always the bigger bags that are on offer. I have two indoor cats and would like to buy when there's an offer on ????? We will put this forward as a suggestion to Royal Canin. If they hear this from other places too, maybe they will listen.